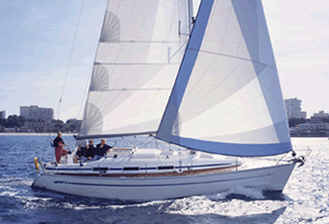 The Baveria 36 is a splendid boat for modern sailors. The fabulously roomy interior presents itself comfortably with generous stowage and a superb finish of smooth mahogany. Her well arranged layouts and her excellent sailing characteristics make the Bavaria 36 not only a solid and comfortable yacht, but a real pleasure to sail. 25% DISCOUNT APPLIES TO LAST MINUTE BOOKINGS.